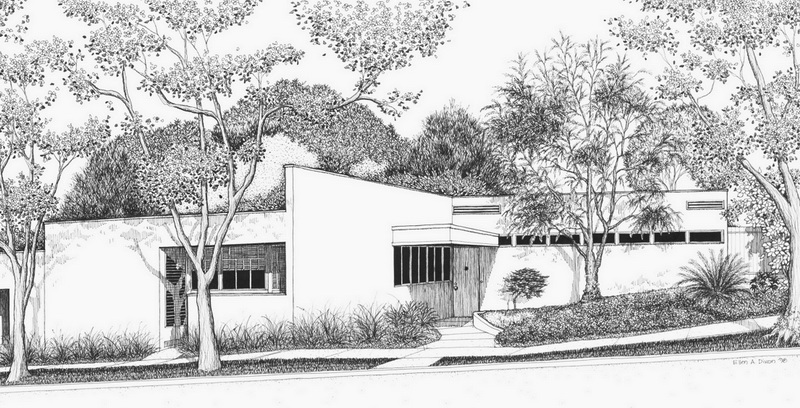 Ward-Berger House | Richard Neutra designed 1939 International Style home in Hollywood USA. Richard Neutra designed 1939 International Style home in Hollywood USA. Official website of our International Style home, located in the Hollywood Hills, California USA. On February 11, 2012, the house was declared Los Angeles Historic-Cultural Monument No. 1014, by unanimous vote of the L.A. City Council. This declaration provides the House with a measure of protection from demolition in perpetuity. Here are photos, original blueprints and drawings depicting ongoing repairs, restoration and conservation. We endeavor to protect the house for future generations. We welcome donations in any amount, in order to help preserve, repair & restore the house. As funds permit, we undertake restoration of certain rooms — altered by previous owners — to their original condition. Also, time and the elements require that we make periodic repairs. Your donation will aid our efforts to maintain & preserve this historic resource. Thank you!